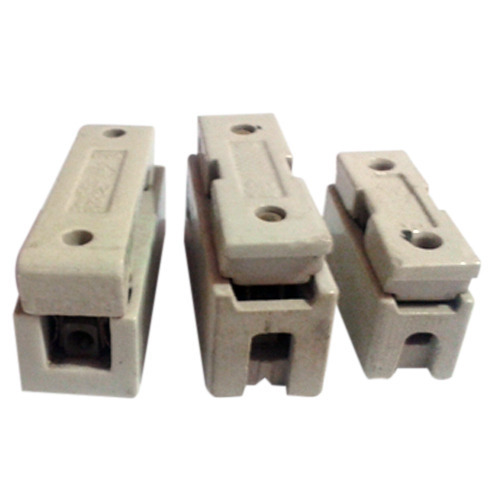 Founded in the year 1996, at Khurja, (Uttar Pradesh, India), we “Rahul Ceramics”, are engaged in manufacturing, wholesaling and retailing of the best quality Lightning Arresters, Bushing Insulators, Disc Insulators, Pin Insulators and much more. Under the direction of “Ravindra Kumar (Proprietor)”, we have achieved a remarkable position in the industry. We endeavour hard to achieve the excellence and clients’ satisfaction to the fullest. Our entire range is appreciated for its several features such as durability, superior performance, sturdy construction, high efficiency and corrosion resistant. Equipped with advanced machinery and other equipment, our products ensure high-quality engineering solutions. We have fully automated machines that operate for long hours without any requirement of manual labour and improve the quality and production volume. Our large warehouse has a capacity of storing huge quantities of raw material and finished products to meet the clients’ demands. We have the capability to perform any kind of job-related to the development of electrical components. Besides, our company ensures that the infrastructure is upgraded regularly with the latest technological configurations as per the industrial innovations. In addition, our extensive research enables us to understand the insights of the market and deliver the output accordingly. We have a skilled team of professionals that dedicatedly works to improve the quality and reduce the entire production cost to satisfy the growing demands of our valued clients. Our company has a systematic management approach for the timely delivery of products at the desired destination.